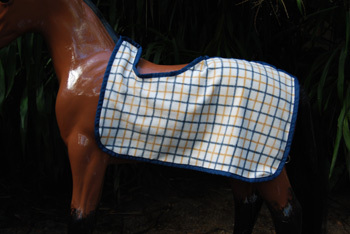 Made from Wool, Polar fleece or nylon, Great for riding in when its cold, wet or windy! 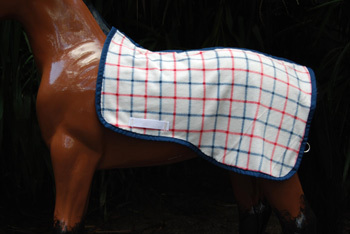 Available in any colour combinations, fully bound - single or double, it has girth keepers and a fillet string at the back - You can even have your horses name embroidered on it!! This one is removeable without having to unsaddle!